This session has been approved for 1 hour of Business credit through HRCI & SHRM. Alice Mar Rocher discusses the evolvement of Leadership Development (LD) efforts through it’s history as a management tool, and the implications for Human Resource professionals as the demographic profile of leaders has changed fundamentally since LD was initially created. In this powerful overview and call to action, Ms Rocher relates the beginnings of the practice now known as leadership development including theories of leadership and shows how the practice’s beginnings and evolution - dominated by a white male mindset - have caused challenges for women and people of color since. Ms Rocher identifies programmatic aspects HR professionals need to consider to drive development for all leaders today. She includes objective 21st century data showing diverse leadership teams outperforming non-diverse groups, as well as emerging research indicating women have a significant advantage relative to leadership competencies vs men, which begs the question: why are women not more highly represented in C-level leadership roles? Finally, to enable HR practitioners to create change in their organizations, Ms Rocher discusses what works in developing women as leaders, effective practices in model companies today, the role of men in developing women leaders and key elements of an inclusive development practice. Alice Mar Rocher is the founder and principal at Mea Crescendo, a personal practice focused on development with senior leaders, high potentials, and individual contributors. Her work includes focus on competency development, efficiency in development and practical deployment of action plans supporting business outcomes. 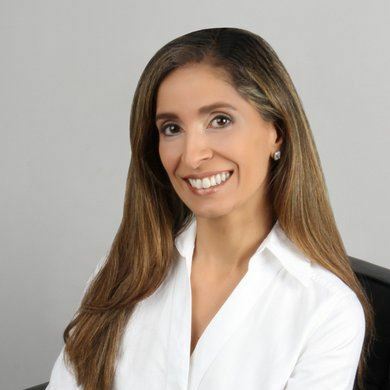 Her 20 years of HR experience include leadership roles at Emerson Process Management, TECO-Westinghouse and Gila Corporation, and her background also includes working with adult learners at CLL Language Centers. Ms Rocher holds a Bachelor of Science (BS) in Organizational Communication from the University of Texas at Austin and a Master of Arts (MA) in Human Resources Leadership Leadership Development from the University of Texas at Austin. She is certified as a Master Practitioner and Trainer in Neurolinguistic Programming from the Empowerment Partnership and is a Coach for Strategic Intervention Bootcamp having attended training with Robbins-Madanes. Thank you to SagePoint Financials! Our sponsor for this event!